For decades, Asaram Bapu presided over a politically influential empire built on blind faith. Along with his son and heir, Narayan Sai, he has now become an example of everything that is wrong with self-styled godmen and the cults they spawn. The two stand accused of sexual assaults on vulnerable devotees, land grabbing, money laundering, intimidation, exploitative black magic rituals and the horrific murder of witnesses who testified against them. Politically, Asaram Bapu held significant boroughs of influence across north India and the Hindi belt, and there are photos of him with almost every known political leader throughout the 1990s and 2000s, till his arrest in a sexual assault case in 2013. Asaram originated the business model of branding goods and selling them to followers, using faith as a marketing tool-which other godmen emulated to great success. His commercial empire, now being investigated by economic offences agencies, was built on unaccounted donations, loans given on hefty rates of interest, investments in dubious companies, money laundering and dodgy real estate deals. 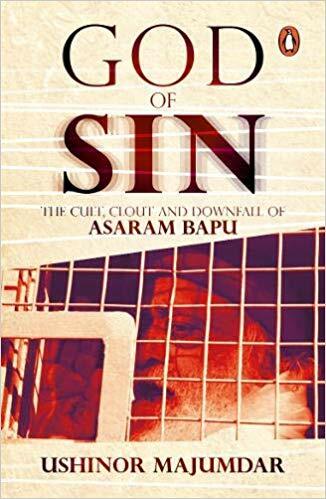 God of Sin pieces together Asaram's journey to spiritual godhood, his fall from grace and the long and arduous road to bring him to justice.